HONEE BEE: spring time giveaway! happy sunday! and happy spring! I am excited to announce a Mother’s Day giveaway in partnership with Samantha Elizabeth: A Lifestyle Blog and Logitech! Logitech has generously supplied one lucky reader an "Office Upgrade" full of wonderful items valued at $500+! 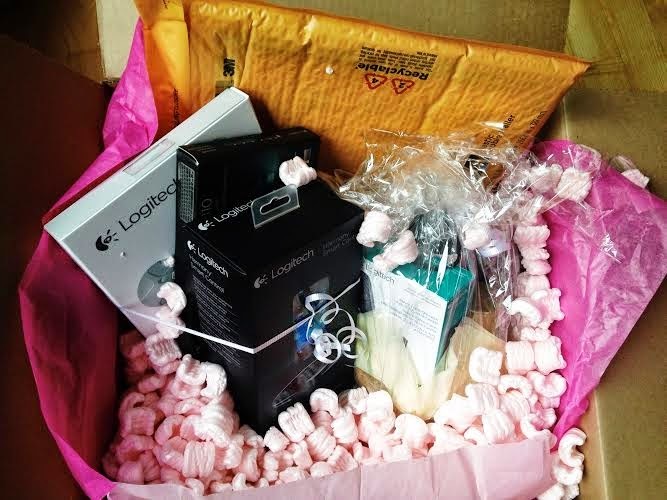 To enter and win simply follow the steps in the raffle copter giveaway below and one winner will be chosen Sunday and this lovely box of goodies will be shipped to your door! That is all there is to it! So what is included in this $500 Office Upgrade you might ask? Here is the run down!